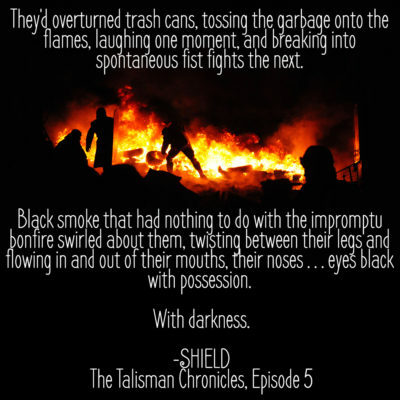 It’s #TalismanTuesday and today, Shield, The Talisman Chronicles, Episode 5 is now available! You don’t want to miss this series! When Dylan Kennedy finds himself standing in the rain on Chloe Blake’s doorstep, with no memory of how he got there, he has no idea that the weirdness in his life is just beginning. He opens the old wooden chest in Chloe’s attic and, with a flash of blinding light, he’s endowed with a unique gift—and made part of The Order. But Dylan and the others face a growing threat—a darkness that feeds on pain and thrives on chaos. It’s getting stronger every day, and soon, they’ll have to fight it head-on, whether they’re ready or not. Wow! Things are getting crazy in Lamsden, WA! Grab your copy of SHIELD today on AMAZON. 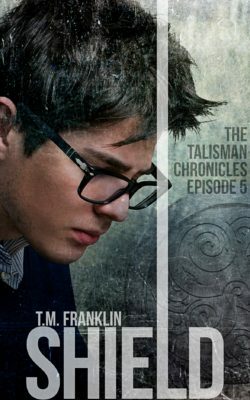 And if you’ve missed any of The Talisman Chronicles, you’ll want to make sure you’ve read WINDOW, TIMEPIECE, GAUNTLET and MANTLE first! Enter HERE for a Kindle Fire, Signed Paperbacks, or an Amazon Gift Card!